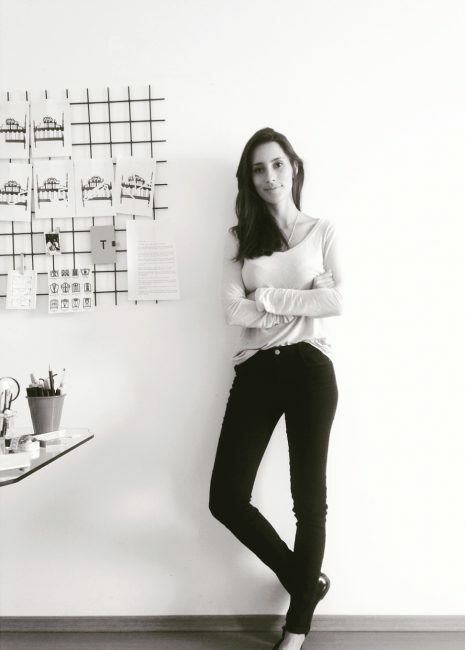 In her day to day before graduating from Fashion school, or been naturally driven to design, Tati Freitas was already looking into ways to create objects which could be both comfortable and admired. Craft wood is her most common material, and that which gives her objects its forms, but she’s also been developing with more brute substances, like cement, and the sensible acrylic. This mix demonstrates her clear wish to create pieces which will endure the harshness of time, and therefore bring to their new owners the memories evoked in her, many lost in history. A recurring creative subject, which permeates most of her work, is transforming common objects with a balance between the eternal struggle which we all live, the concept of “Past x Present”, “Old x Young”. The memory they bring does not remain trapped in the past, but also adjourns with the contemporary days. In this relation between memory and identity, Tati relates to Ricœur’s metaphors, where the hero/artist merge, following the thought where our identity is also a reflect of what we did and can do. In the artists case, by revisiting her past she brings back her own narrative, and search for the young and free heart and mind, full of memories, which are continue to be written everyday. Freitas is exhibiting in “Clairvoyance”, a collaborative exhibition between Guy Hepner and AXD. The third exhibition of this collective series, the exhibition presents a collection of the most trending artists currently online, and explore the current fascination of social media, technology and the contemporary artist.